To help on debug, I add in vcl_deliver a X-Cache header with values cached – uncached. HTTP files will be in cache during 30 seconds. You can change the value very easier. You can optimize the configuration but it’s not the object of that article and you can find many informations on the web. To check the good configuration, get a content with curl command line. Be careful, we are not testing to call the MistServer but the Varnish cache, so we will point to the port 80 not 8081. You can see the uncached value on the last line. This is the magic of HTTP caching ! 😉 Mistserver is not used when content is cached by Varnish. 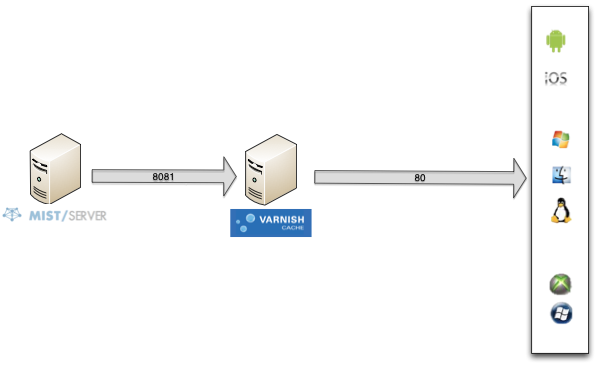 You can check too with the varnishlog tools to see if Varnish call the backend or not. 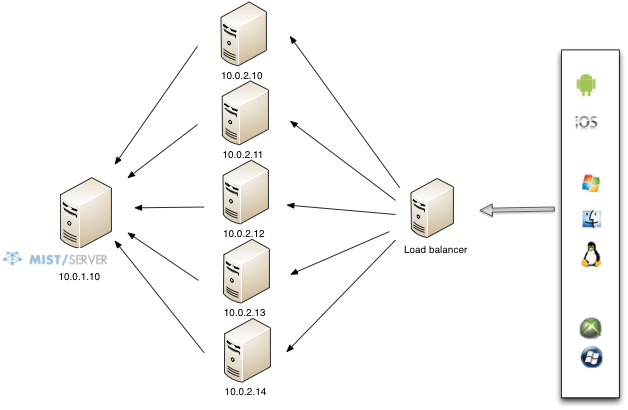 If you want to use this kind of configuration for production for example, you can apply this kind of architecture : multiple varnish caches (called edges), as physical servers, in front of Mistserver (called origin). You can divide by many the load on the origin server and Varnish was created for this kind of usage. To finish, you can apply this kind of configuration for VoD or Live. For VoD, the cache lifetime can be more than 10 minutes, for live, I advise a short cache lifetime, the reason are simple to understand. Hi – My name is José Infanzón, I’m a asoftware engineer, and currently I’m an implementation of a low-cost OTT platform in a local cable company. We have hls streams, and I’ve read your article about mistserver and varnish. I’ve implemented varnish 4 with the basic configuration mentioned in the post, but I was wondering if you have any sample vcl for HLS streams that may be more tuned.